Diane & Justin first met when they were nine years old; on the baseball fields of our small hometown in Morgan Hill, California. Distant friends growing up, it wasn't until they returned home after college that they really hit it off.. Five years later they held a beautifully relaxed wedding at HOLMAN RANCH in Carmel Valley and had CARLIE STATSKY capture it all. There were some aspects fo their wedding day that the couple were very intentional about. With the help of their wedding planner ENGAGED & INSPIRED they created a heartfelt day that had family and their heritage at the centre of the celebrations. Read on to find out more about how they created a very personal day. TELL US ABOUT YOUR PROPOSAL: Justin and I love to travel - and what better place to go than Justin's family's country: Croatia. Justin is second generation born in America, and it was my first time. Justin brought me to his family's village in Ploče and Gradac, plus hot spots in Split, Krka, Dubrovnik, and to the small wine-country island of Hvar. After being in Croatia for a week, he asked me to dress fancy as he made reservations at a nice restaurant that night. Before dinner, he suggested we go and take photos while watching the sunset at the highest point of the island - atop the Hvar Spanish fortress. We took a taxi up the hill and proceeded to get out once at the front gate. It was a busy, beautiful, sunny day and there were a lot of people. Once we made it through a dark tunnel up a short staircase, I was shocked to see that the once extremely crowded fortress was now empty - except for a table with rose petals, candles, my favorite champagne, a professional photographer, and a friendly woman (who I later found out was the concierge and planner at our hotel). My heart started racing as Justin got down on one knee and asked me to marry him in the most heartfelt way. I could hear people cheering as we kissed. I (of course) said yes, with several happy tears flowing along with the champagne. We laughed, cried, drank, and walked around the island while taking countless engagement photos with a local Croatian photographer so we could remember this moment forever. Justin later explained he reserved the space and planned the whole thing months ago - he decided to do it on July 8th because 8 is the symbol of eternity. He also wanted to propose in Croatia at this Spanish fortress because I am of Spanish descent and Justin is Croatian - so this would be a great spot to recognise our heritage while officially becoming family. Needless to say, it is a beautiful moment that we will cherish forever! Some themes that we were very intentional about at our wedding included family, heritage, and where we come from--which all really boil down to who we are and what we value as a couple. OUR ROOTS: We knew immediately that we wanted to have a relaxed Northern California wedding since we are born and bred in the Bay Area. 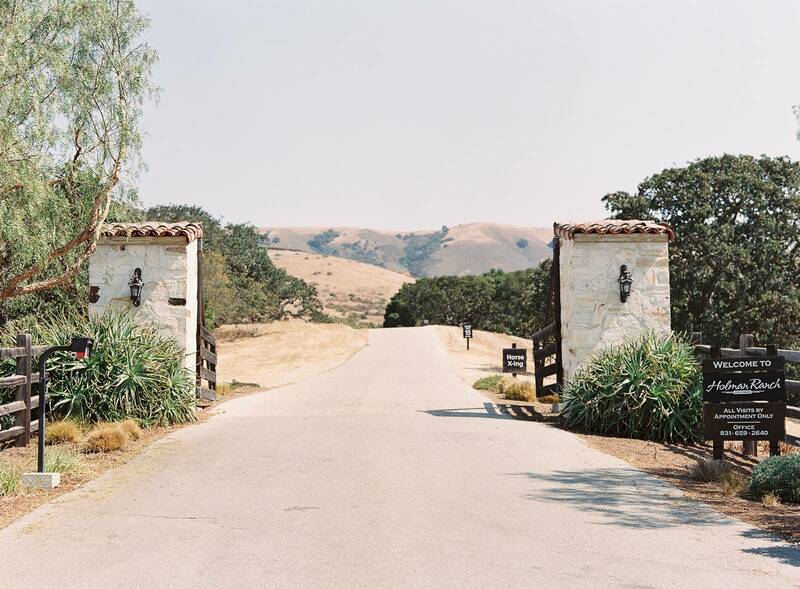 For us, a part of that vibe included lots of wine; plus a rustic, chic, vintage, glam feel--so Holman Ranch ended up being the perfect spot for us. HIGHLIGHTING OUR HERITAGE: We are both super proud of our heritage. Both of our fathers are first-generation born in the United States. Diane's dad is 100% Mexican/Spanish and Justin's dad is 100% Croatian. Justin incorporated this theme originally when he proposed in his family's native country Croatia, at a Spanish fortress, so he could symbolise our heritages coming together. I loved the romantic thought behind this, so we worked the theme into our wedding. Some elements that highlighted this theme included our floral arrangements from GAVITA FLORA, featuring large dahlias, succulents, and roses, which are all traditional Mexican flowers. We also incorporated lavender toss cones for guests to throw post-ceremony to acknowledge the native Croatian flower. Our heritages were also highlighted in our alcohol selection. Specialty cocktails included the Mrs. Mexican Mule (tequila, grapefruit juice, and ginger beer) and The Mr. Croatian Bourbon Sour (bourbon, lavender simple syrup, & lemon). Our final tribute to this theme was the wedding favours that were given to guests at dinner: "His Croatian Rosemary Olive Oil" & "Her Latin Spicy Mix", complete with a signature "J & D" recipe. FAMILY VALUES: Our final theme is probably the most important, and centred around family. This is a value that Justin and I hold extremely close to our heart, and we feel so thankful to have such strong and close family ties. It is a huge reason why we want to start our own family in the future! One of my favourite additions to the decor was getting 8x10 photos printed of both of our parents on their wedding day, along with this custom dedication sign from Paper & Pine Co. I think it is so rare, influential, and inspiring that both of our parents are still married (33 years & 43 years). One awesome addition to our decor that was my husband's idea was to have a cigar bar with specialty whiskeys and scotch to pair (another nod to his old-world Croatian side). Trust me, the Mexicans loved it too! The cigar bar was a crowd-pleaser and a great way for our younger friends and older relatives to mingle with one another, which was awesome to see. Another fun treat that was given out during dinner: a label-less Croatian family wine that was homemade by Justin's Uncle. It was clearly loved by our guests, because it went quick! Though every detail was exquisite (thanks to all our vendors) and so fun to plan, all of these things were incomparable to the amount of love that emulated from all who attended our most special day. We are so grateful! WHAT WERE YOUR HIGHLIGHTS FROM THE DAY: His: During dinner, Diane had a real moment, and I am so glad she did. I was so focused on making my big speech; plus making sure I actually ate my dinner and drank water (but mostly, the wine), that it made it hard to pay attention to my surroundings. My wife grabbed me and said "Justin, stop. Look at everyone. They are all here for us." I stopped and looked around--it was a scene forever held in my memory. Everyone was laughing, socialising, cheering--and not a person was looking at Diane or I. It was as if we were invisible for that very moment and were able to watch all our friends and family genuinely enjoying life at this time, on our special day. Hers: Right after the ceremony, our wedding planner pulled us away into this beautiful, secluded courtyard. Just the two of us, alone, no one to tell us to do anything, no photos being taken, realising we just became husband and wife. We cried and laughed and kissed and reality hit us all at once. It was unforgettable. WHAT ADVICE WOULD YOU GIVE OUT TO A COUPLE PLANNING THEIR WEDDING? : Focus on what actually matters. We picked an overall theme and stuck to it. We also chose three vendors that mattered most to us which were: 1) venue 2) food/alcohol, and 3) photographer. We were willing to spend a bit extra on these things because in the long run, we thought this is what our guests (and we as the bride and groom) would remember most. No one is going to care or remember if you use vanilla or chocolate frosting or even if you had a cake in the first place - they are going to care about the overall vibe you created. My husband was amazing at being my partner in this and keeping me sane. 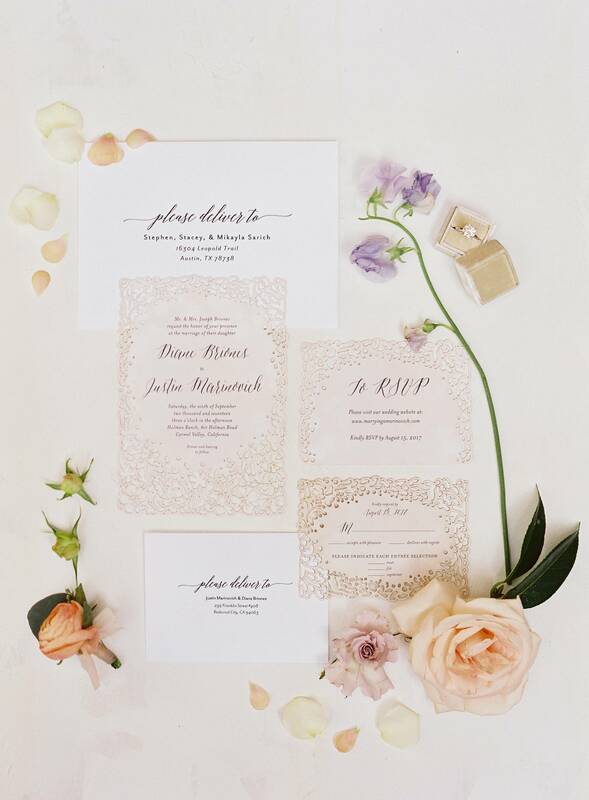 It's easy as a bride to get sucked into the details and want extra cool things to make your day stand out. He was the one to remind me to focus on what actually matters and our original plan. Also, remember that everyone is going to have opinions about your day - just smile, say thanks, and you'll take it under consideration. At the end of the day - it's YOUR day, so do you! TELL US A LITTLE ABOUT YOUR HONEYMOON: The day after our wedding, we enjoyed a farewell brunch on Sunday at the Ranch with our wedding party and families. We then left for our honeymoon early Tuesday morning - I was so glad to have a night at home to pack and soak everything in. We went to the South of France (Nice, Monaco, Antibes, Saint Tropez) and the Maldives. We enjoyed every second of it and were so glad to spend time away as newlyweds immediately following the wedding. Our highlight in the South of France was renting a BMW 8 series and driving the coast of the Riviera, shopping in Saint Tropez, having the most delicious gnocchi in Nice, and visiting the famous Monte Carlo casino. Our highlight in the Maldives was scuba diving below our private bungalow in the crystal clear water, sunset yoga, fresh sushi dinners, and dancing to the live band at the island hookah bar. IS THERE ANYTHING YOU WOULD CHANGE OR DO DIFFERENTLY? : I'm going to stick with my husband on this one and say no, there isn't. I could be overly critical and analyse every little thing - but at the end of it all, it was our day and I wouldn't change that for anything. 9.9.17 will forever be that day that I ended up #marryingamarinovich and we couldn't be more proud on how it turned out - our day was filled with so much light and love on that warm California day and we are so grateful to every one that was apart of it!